GST is going to be live soon and all traders, manufacturers, service providers are worrying about the invoicing, accounting changes. GST is a big reform and will require to change the way of working and managing the business. The most horrifying provision in GST is the number of GST returns a person has to file. A registered person has to file 12 monthly returns and also an annual return. Besides this the monthly return has 3 statements having different due dates. A person under composition return has to file quarterly return and an annual return. 1. Invoice wise details of sales made to registered persons whether intra state sales or interstate sales. 2. State wise details of sales made to unregistered person in inter state sales. Although consolidated information is to be furnished. 3. For intra state sales made to unregistered persons and general public, consolidated details are to be given. The sales is to be bifurcated according to different GST rates applicable. The form for filing details of outward supplies is GSTR-1. The details filed by a registered person in this form is make available to recipient person in Form GSTR-2A. Then the recipient person can modify, delete or add the details. Such changes will again make available to the seller in form GSTR-1A. If the seller accepts such changes then his GSTR-1 will amend accordingly. This is a statement containing details of all purchases made by a registered person. Due date for fling this statement is 15th day from the end of the month. The information from the details of outward supplies is made available to respective registered persons from the 11th day from the end of month in Form GSTR-2A. If the recipient founds the details to be correct, then he has to just accept the details. If there is some mistake or an addition or deletion is required then he can do in such statement. Such changes are then made available to seller as discussed earlier. This form is a major change in manner of filing indirect tax return. In current regime of taxation, every person has to file his sales and purchase statement and matching of sales and purchases is made thereafter. But in GST if the seller has not filed details of sales and also not accepted changes, then the purchase can not claim input tax credit at that point. This is the statement for filing the main return part and to be filed in Form GSTR-3. Due date for fling this statement is 20th of the succeeding month. Part A of GSTR-3 will contain information furnished through returns in Form GSTR-1, GSTR-2, electronic cash ledger, electronic credit ledger and details based on other liabilities of preceding tax periods. Liability of tax, interest, penalty or any other amount payable is to be paid by debiting the electronic cash ledger or electronic credit ledger and these details is to be included in Part B of Form GSTR-3. GST return can not be filed unless you make payment of all dues other than which are pending in the appellate tribunal or court. Also GST return for a month/quarter can be filed only after filing of all previous month/quarter’s return. For eg: You can file return for month of August 2017 only after filing of return of July 2017. 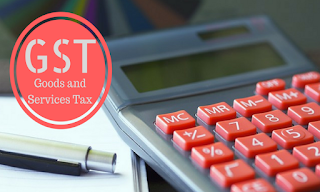 The registered persons are also required to file an annual return in form GSTR-9. For persons registered under composition scheme the form for annual return is form GSTR-9A. Person who are required to get their accounts audited under GST are required to file a copy of audited accounts and a reconciliation statement along with annual return. Late fee of Rs. 100 per day is liable to be paid if any monthly/quarterly return is not submitted within due date. Maximum penalty would be of Rs. 5,000. In case of Annual return penalty is payable at Rs. 100 per day. Maximum penalty in such case is 0.25% of the turnover in the state or union territory. 1.Error is found as a result of scrutiny, audit, inspection or enforcement activity by the tax authorities.